This is a completely new model of the fearsome German tank destroyer Jagdpanzer IV Lang. 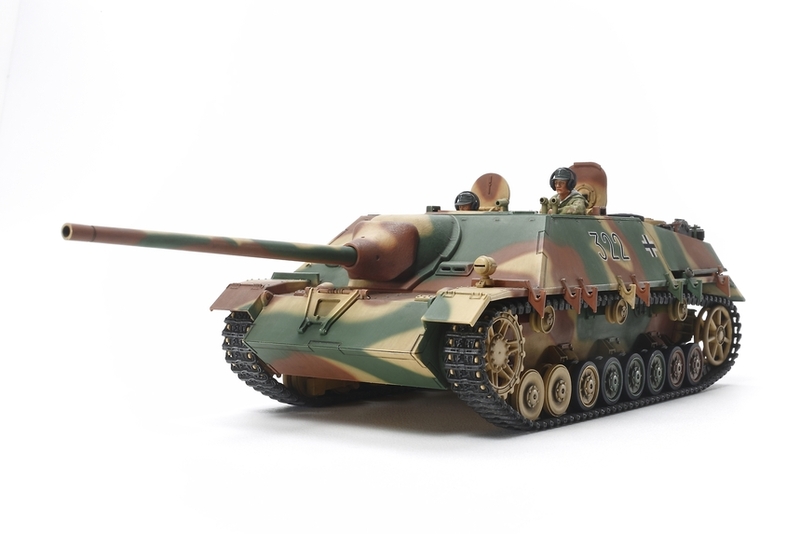 It is designed from the ground up to be part of the long catalog of models offered in the Tamiya 1/35 scale line up of model kits. 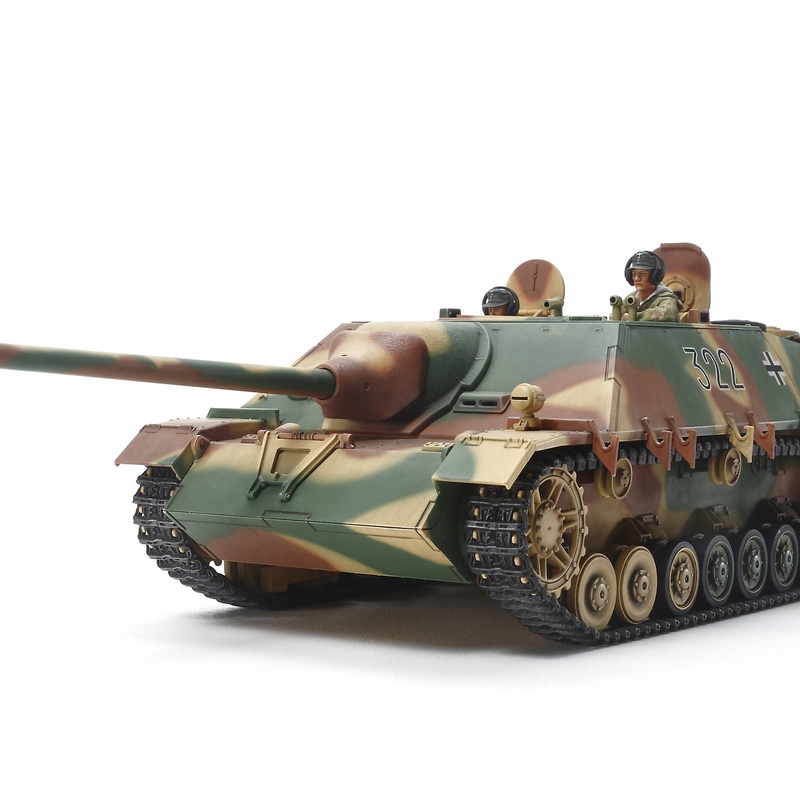 The original Jagdpanzer IV tank destroyer was based upon the Panzer IV vehicle and used extensive sloped armor with the 48-caliber 7.5cm gun that had already proven its worth on other vehicles. 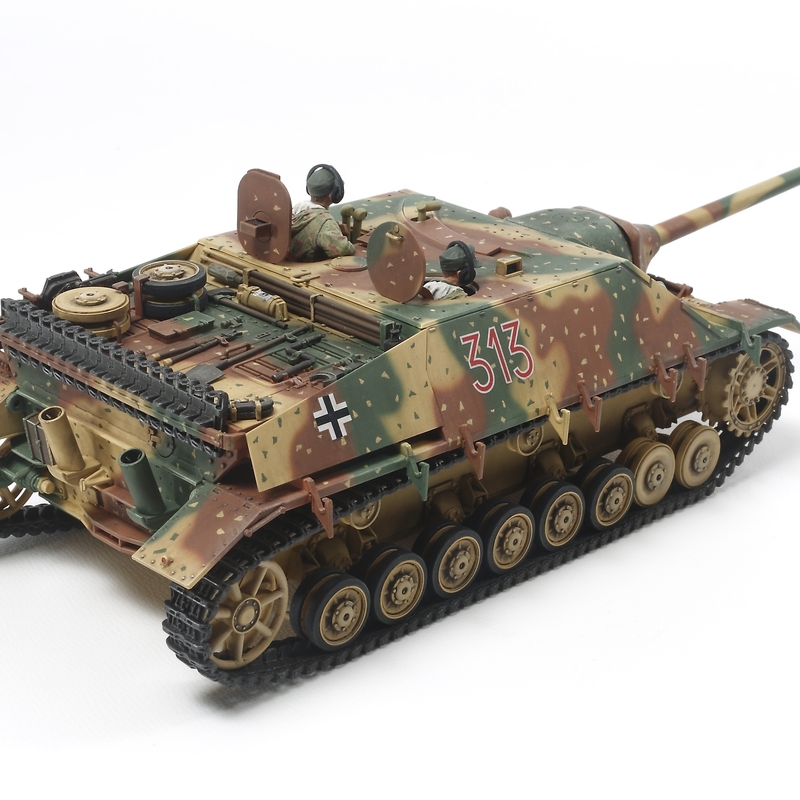 In January 1944, it was decided to upgrade the Jagdpanzer IV, with the powerful 70-caliber 7.5cm anti-tank gun installed in place of the original 48-caliber weapon. This bigger gun was fitted to the Jadgpanzer IV with the intention of giving it the ability to destroy Allied tanks without even entering their weapons range. It was also the origin of the name Lang, which translates into English as "long". The (V) was applied to vehicles manufactured by the German company Vomag. 930 Jagdpanzer IV /70(V) Lang vehicles were manufactured between August 1944 and March 1945, with German forces taking advantage of the exceptional range of the gun, employing it in both defensive and ambush roles even as their military situation worsened. December 2014 marks 70 years since the Battle of the Bulge, which was effectively the final German offensive of WWII. 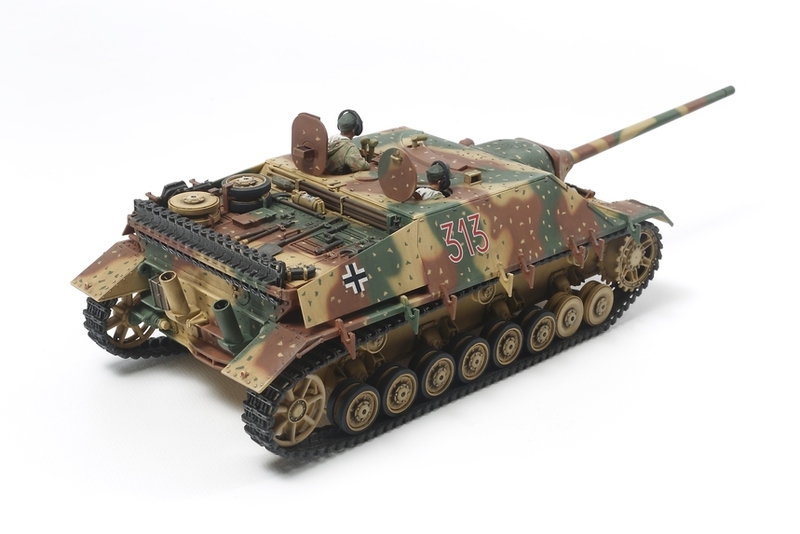 This model is perfect and right on time to liven up late Second World War dioramas. Special Feature 1 Depicts a vehicle manufactured after September 1944, when the use of anti-magnetic mine Zimmerit coating was discontinued. Special Feature 2 The long and imposing 70-caliber 7.5cm gun main barrel is molded in a single piece. Special Feature 3 Detailed depictions of different surface textures such as cast-iron mantle and welded sections. Special Feature 4 Belt-type tracks depict the lightweight caterpillars used on late production versions of the Lang. Special Feature 5 Front two rubber ring-less road wheels are faithfully depicted. Special Feature 6 Comes with 2 torso figures which can be attached in the fighting compartment hatches. Special Feature 7 Includes 3 marking options to depict Western (including Battle of the Bulge) and Eastern Front vehicles.